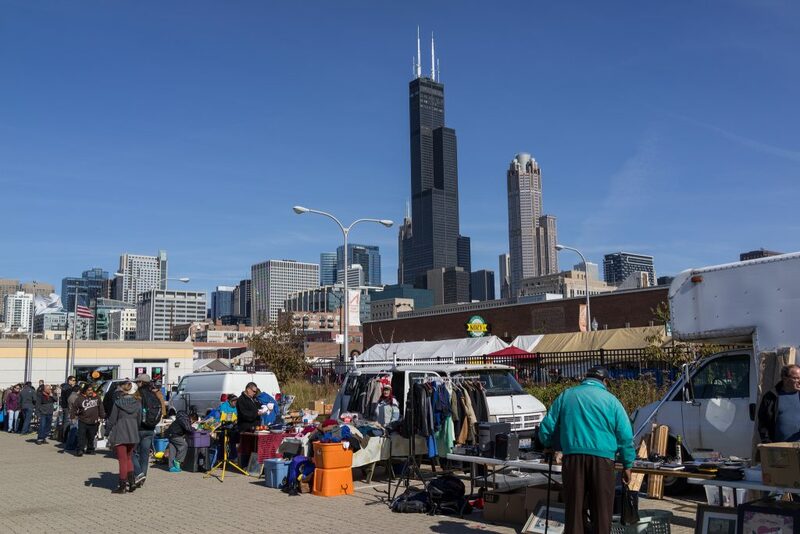 Despite the harsh winters, Chicago is home to some great year-round markets, with farmers’ markets selling the best locally grown produce and flea markets peddling handcrafted jewelry, vintage clothing, and choice antiques. Meet your friends, have lunch and grab yourself a bargain at these long-standing, innovative or just unique daily, weekly, and monthly shopping bonanzas. 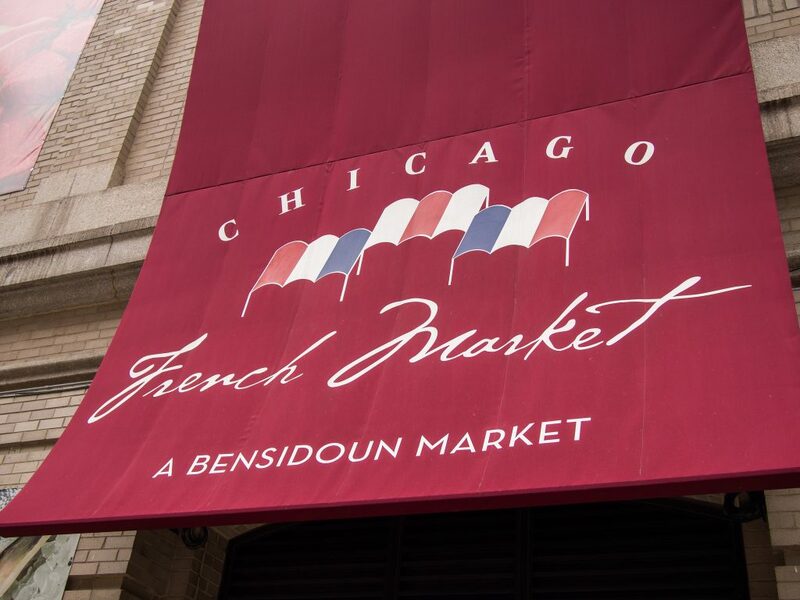 Located in the larger MetraMarket mall in West Loop, the Chicago French Market is a European-style indoor market managed by the Bensidoun family, an experienced group of market operators from Paris. As it features almost 30 specialty vendors selling a wide variety of artisan food and drinks, including fresh fruit, vegetables, meat, and seafood, it’s also a great spot to grab breakfast, lunch, and dinner, with options from sushi and burritos to baked goods and gelato. Chicago’s first year-round farmers’ market was the brainchild of chef, author, and entrepreneur Abby Mandel. It aims to promote quality, sustainably raised produce and products, and to bring local producers and farmers to their customers in the city. In the winter, the market takes place at The Peggy Notebaert Nature Museum, and in the summer, there are locations in Lincoln Park, West Loop, and at the Park at Wrigley. Demonstrations and music are commonplace at the market, and workshops, BBQs, and meals are also regular occurrences during the summer. Selling everything from independent and locally designed fashion, antiques and art to vintage furniture, fashion, clothing, and jewelry, the Randolph Street Market is another European-style indoor-outdoor market that also contains several smaller markets: the Chicago Antique Market, the Indie Designer Market, and Modern Vintage Chicago. Tickets are $8 online and $10 at the gate, and the market is typically held one weekend a month come rain or shine. Wanna save a buck… so you can spend it at #RanhdolphStreetMarket? Enter your email address and receive a downloadable coupon for free admission to the last TWO HOURS of the market on SUNDAYS ONLY from 3 pm – 5 pm. We call it “see for free,” but you’ll call it the best day ever. Register by clicking the link in our bio. As local as it gets, tenants of The Plant, the food production space in Back of the Yards, which hosts the market, sell much of the produce found at Plant Chicago Farmers Market. Coffee, microgreens, kombucha, naturally leavened bread, and fresh vegetables, grown or made on-site, are all on offer, as well as handcrafted and vintage jewelry. You can also tour The Plant’s facilities, including an Algae Bioreactor and Aquaponics Farm, for $10. The Maxwell Street Market is a Chicago tradition dating back over 100 years when Jewish immigrants would gather to sell produce. Taking place every Sunday on S. Desplaines Street from W. Polk to W. Taylor, today, its vendors sell a wide variety of goods, from fresh produce to furniture. The street food on offer, which is among the best in the city, draws just as many people in as the products for sale. The Logan Square Chamber of Commerce also hosts a year-round farmers’ market, one with a focus on building community ties and providing a place for people to hang out, complete with entertainment offered alongside the nutritious and conscientiously grown and produced local food. The market is open from 10 am to 3 pm every Sunday; from May through October, it’s outdoors at 3107 W. Logan Blvd, and November through March, it’s indoors at 2755 N. Milwaukee Ave.
Market fam, today is the LAST Outdoor Market of the season. Next Sunday, you can find us at 2755 N. Milwaukee (corner of Spaulding). Come on by before we say farewell to some of our vendors until 2017. We're out here til 3pm!